In providing guidance for practical decision-making situations concerning high-consequence technologies (e.g., nuclear, oil and gas, transport, etc. ), the theories and methods studied in Uncertainty in Risk Assessment have wide-ranging applications from engineering and medicine to environmental impacts and natural disasters, security, and financial risk management. The main focus, however, is on engineering applications. 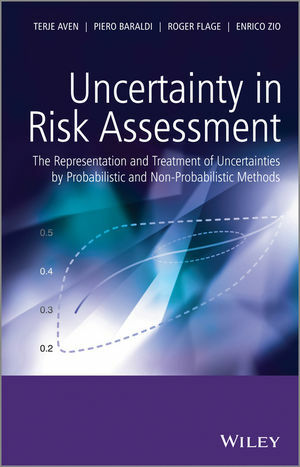 While requiring some fundamental background in risk assessment, as well as a basic knowledge of probability theory and statistics, Uncertainty in Risk Assessment can be read profitably by a broad audience of professionals in the field, including researchers and graduate students on courses within risk analysis, statistics, engineering, and the physical sciences. Illustrates the need for seeing beyond probability to represent uncertainties in risk assessment contexts. Provides simple explanations (supported by straightforward numerical examples) of the meaning of different types of probabilities, including interval probabilities, and the fundamentals of possibility theory and evidence theory. Offers guidance on when to use probability and when to use an alternative representation of uncertainty. Presents and discusses methods for the representation and characterization of uncertainty in risk assessment. Uses examples to clearly illustrate ideas and concepts.